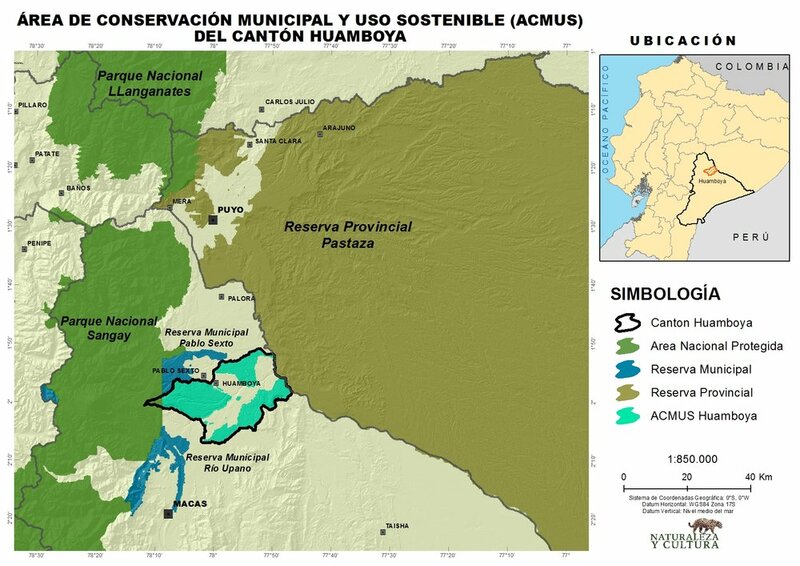 The new Municipal Conservation Area of Huamboya will conserve 103,082 acres (41,716 ha) of sub-tropical montane forest along the eastern slope of the Andes Mountains. 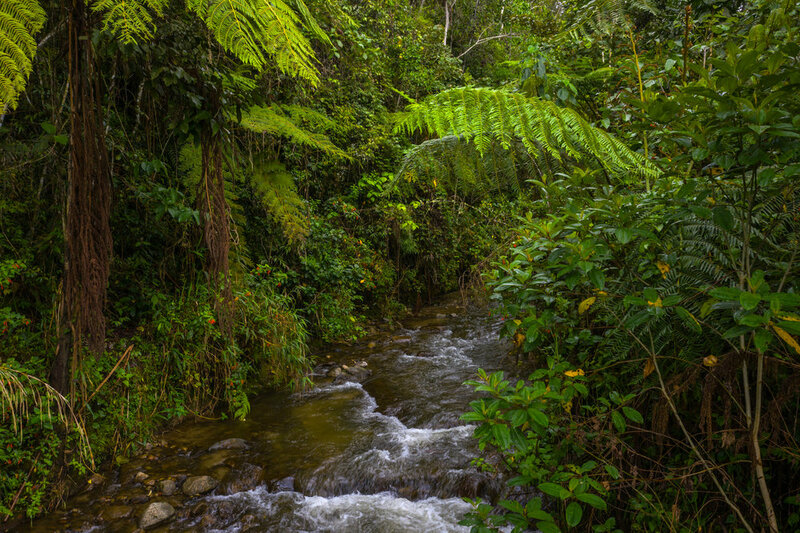 Located in the province of Morona Santiago in Ecuador, this area increases connectivity between Sangay National Park, Pastaza Provincial Reserve, and Río Upano Municipal Conservation Area– a network of protected areas spanning over 7.5 million acres (3 million ha). In recent years, the municipality of Huamboya has been under increasing deforestation pressure due to agricultural development. The new municipal conservation area will reduce this threat. 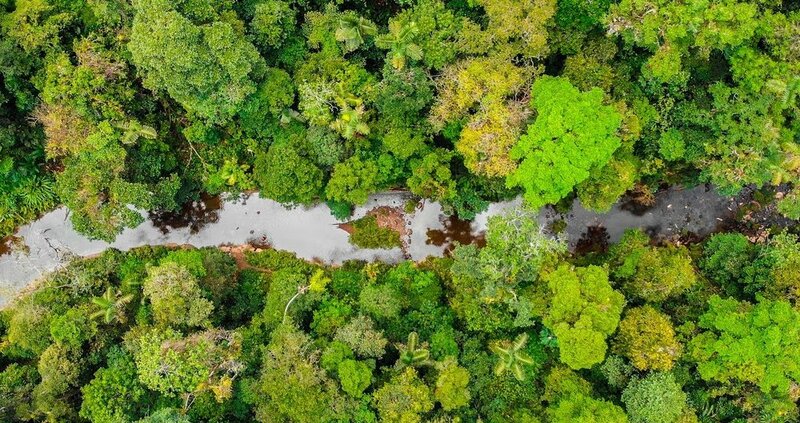 “It’s fantastic to see that municipal governments in Ecuador are partnering with civil society organizations and indigenous peoples to protect these vital watersheds, which are among the most biodiverse on the planet. This brings the responsibility for habitat protection right down to the local level. 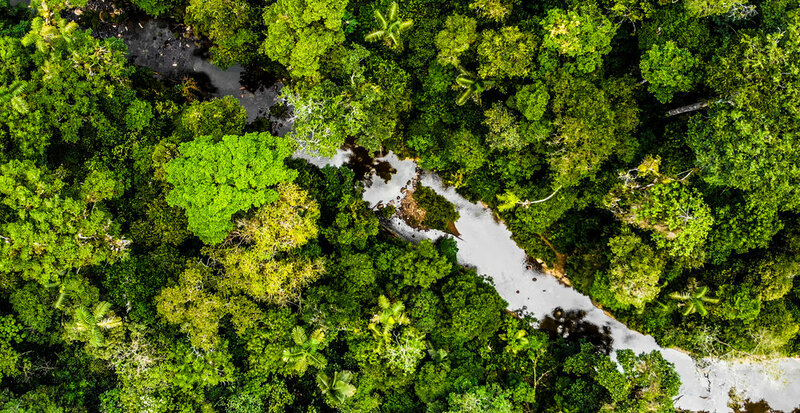 Ultimately, local people and their government representatives should be fully engaged in the task of conserving their natural resources,” said Andes Amazon Fund Executive Director Dr. Adrian Forsyth. Comprised of eight areas with an elevational gradient of 2,000 to 5,600 feet, Huamboya fills a biodiversity gap in the country’s national protected area system. This is critical for the preservation of species such as the vulnerable spectacled bear (Tremarctos ornatus), lowland tapir (Tapirus terrestris), and giant anteater (Myrmecophaga tridactyla). The area has also been identified as an Endemic Bird Area with an estimated 36 range-restricted species. These include the Ecuadorian piedtail (Phlogophilus hemileucurus), coppery-chested jacamar (Galbula pastazae), and napo sabrewing (Campylopterus villaviscensio). Scientists estimate that Huamboya contains a high level of plant endemism, as 20% of Ecuador’s total endemic plant species can be found in the nearby and ecologically-similar area of Sangay National Park. 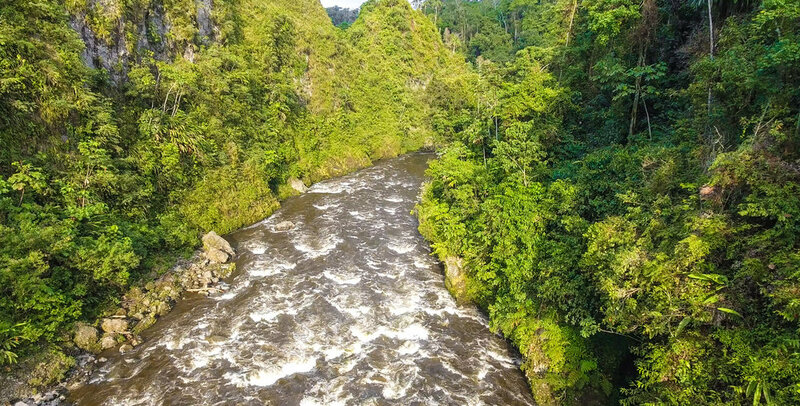 Huamboya will also safeguard important water resources for local communities and will help preserve the cultural traditions of the indigenous Shuar Nation. The Andes Amazon Fund congratulates the Municipal Government of Huamboya, grantee Naturaleza y Cultura Internacional (NCI), and local partners for this conservation achievement. We will provide additional support for the management of the newly created area.